I hope this edition of Silver Screen Sunday will make up for taking a break from it last week! 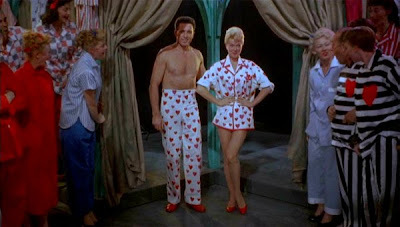 Today, I'm taking a little look at The Pajama Game, from 1957, directed by George Abbott and Stanley Donen. 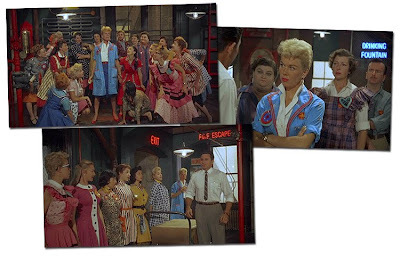 It stars one of my all-time favourite actresses (and style icons), Doris Day, as Babe Williams an employee of the "Sleeptite Pajama Factory" who, along with her fellow workers, wants a seven-and-a-half cent an hour raise. 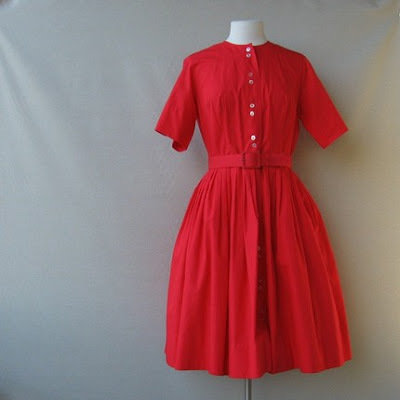 It also boasts a ridiculous number of absolutely amazing dresses, but I only have pictures of a small number of them (for this, anyway - I have over 100 screencaps of the film). There are also some of the cutest aprons I have ever seen in my life. And the hair, too! This film is really a visual overload of fabulous. One of my favourite scenes is the picnic scene. 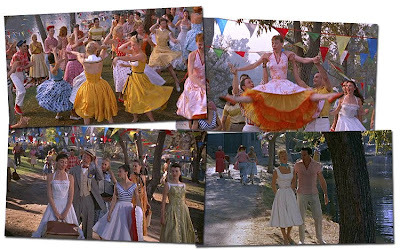 This scene inspired my selection of vintage dresses from etsy. 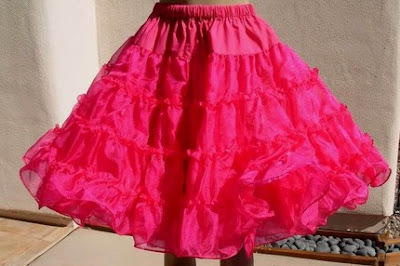 And here's a pretty petticoat that can easily compete with the colourful ruffles in the film. Found here on etsy. 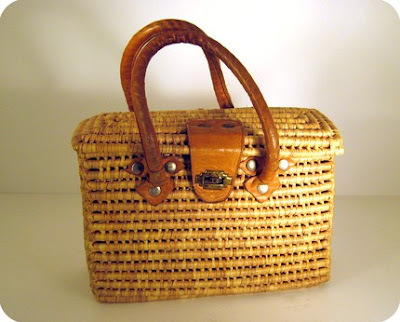 This purse is the perfect picnic accessory, isn't it? Found here on etsy. 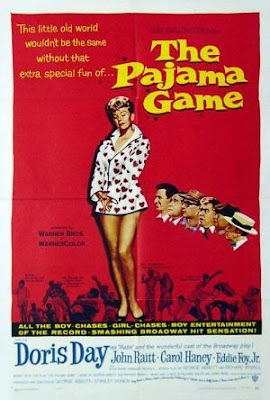 Of course, when you're writing about a movie that's all about people who work at a pyjama factory, you can't go past looking at some vintage sleepwear! 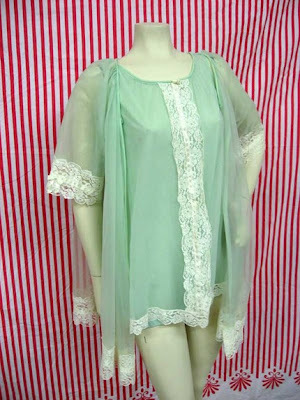 I couldn't find any cute pyjamas, exactly but these nighties are lovely, anyway. When I watched this film earlier this year I dug out my Calamity Jane/The Pajama Game LP and listened to this song over and over. It was quite a feat, actually, as my turntable is up fairly high and I have to stand on tiptoes to reach it! I hope this was enjoyable for everyone. PS Go here to check out a photo taken of me, by Phebe (a fellow photography student), sporting a 'rogue' moustache. This movie looks like so much fun! Maybe in my holidays I will get a chance to watch it. I love all the colourful dresses. I can't believe I haven't seen this film. My Mum had a big selection of Doris Day films in her very large DVD collection ... I'll have to search for this one next time I visit her. Doris in that white dress with blue scarf is gorgeous. teehee that movie looks like good times! 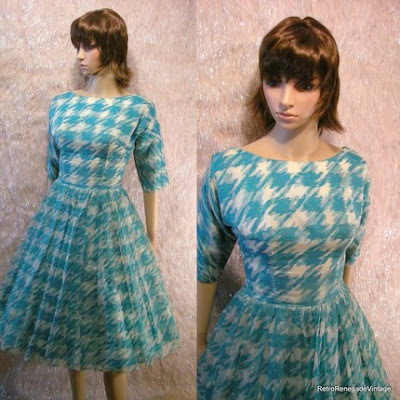 Love the turquoise houndstooth dress! All lovely choices!! Louise: Go see it! Go look for it. It's amazing. haha. Jen: Thanks! I can't wait to wear it. I LOVE Doris Day. She's amazing. Calamity Jane is among my favorite movies. Doris Day is my all time favourite actress and I have that film and love what you did with finding outfits to compliment it!!! Awesome job! Stellar post! 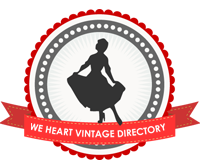 Three big cheers for Doris Day, she's always been a big inspiration of mine, too (I tend to prefer "cute" vintage to sultry, which can come off as to costumey on my petite, curvy figure, so I love drawing inspiration from cute "girl next door" types from the 50s like Doris Day).